This week has been a flurry of activity with my new best friend. We have crisscrossed the city checking out appliances in an attempt to find a dishwasher that has a door short enough to open fully in the allotted space. The refrigerator also has parameters so that was on the list too. The stove is the standard 30" so it was a bit easier to select. Finally after four days haunting appliance departments, T.M. and I settled on a trio that we hope will work well together even though they are not all the same brand. that has graced my kitchen walls for several years. They extended the flue wall, moved an outlet, and did their best to level out the wall on the left. It's good to have that behind us. You may remember I have a piece I want on the wall behind the stove. This is the piece I bought from Craig's List. It will be surrounded by 6x6 tiles. Dan marked off the dimensions on the wall. And then I sat down to do more math with my good friend. 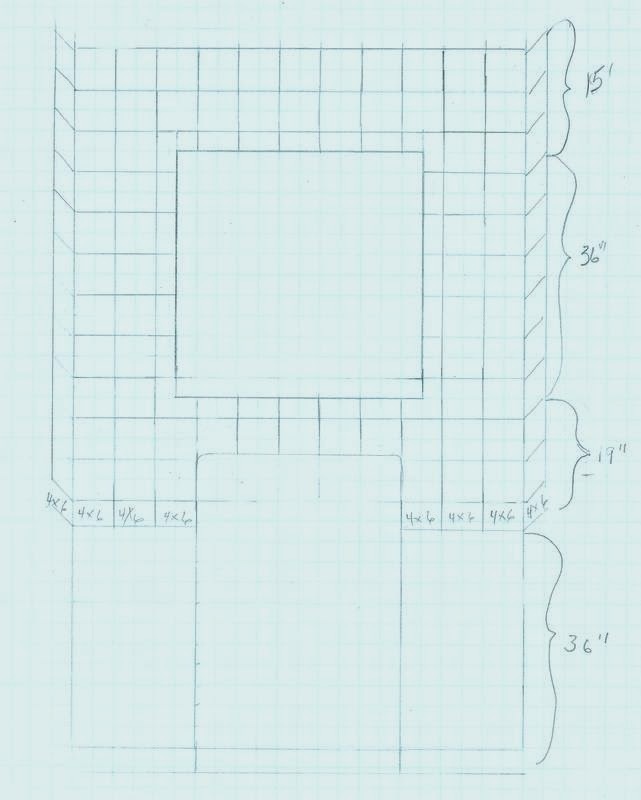 (This time a ruler rather than a tape measure) Tile is another material that needs to be ordered immediately and I need to plan the layout and get a grasp on how much I will need to order. The guys did their fair share of measuring too as they worked on getting this window reconfigured. Not there yet but you can see where the new window sill will be. Here they are making sure those new windows will fit properly. Meanwhile I am searching on line for a wall mounted faucet that meets the specifications. Again, it all comes down to measurements. I found something I really liked but, alas, the spout was too short to work well in this instance. So back at it again. 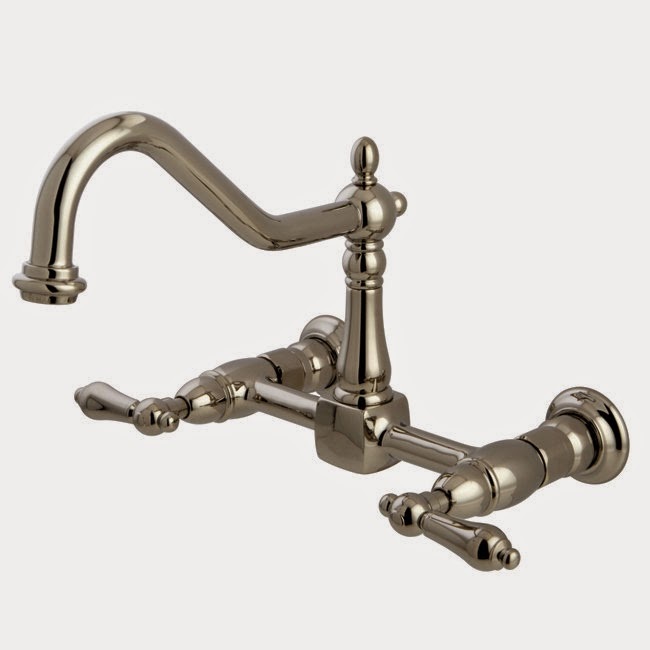 There are limited choices when it comes to wall mounted faucets. Throw in the need for the spout to reach 12 inches and the choices drop drastically. Add to that a brushed nickel finish and a reasonable price and...well, it's no longer a choice. It's called, "take what you can get and like it." I'm ending this post with a choice that does not require any math and is much more within my comfort zone. It's a little premature to choose the wall color for the kitchen but we want a coat on the walls before the floors are screened and polyurethaned. So even though it could all change when the various elements arrive and things start reflecting off each other, I selected Benjamin Moore 2109-60 for now. It is called Portland Gray. It is the largest sample shown above. It plays nicely off this canvas that will hang on the only open wall in the kitchen.